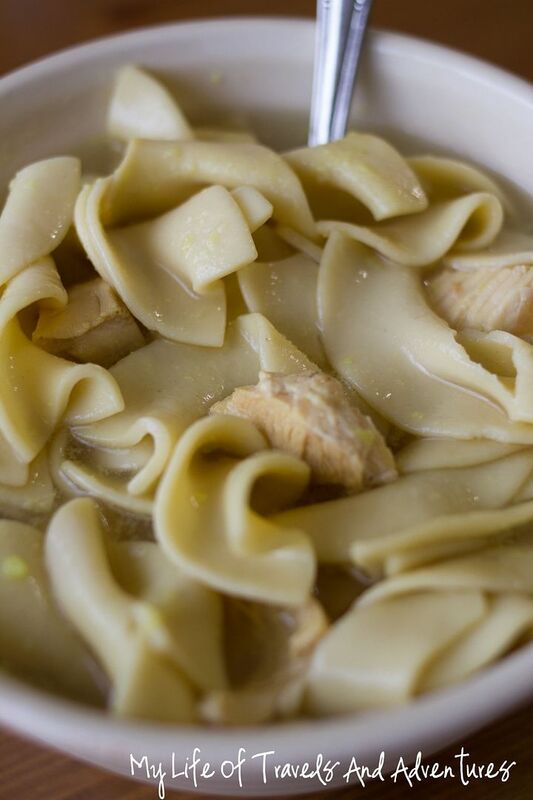 I love chicken noodle soup. I survived on it (and crackers) while pregnant with Reid. That being said, I really only like chicken, noodles and soup in my Chicken Noodle Soup. 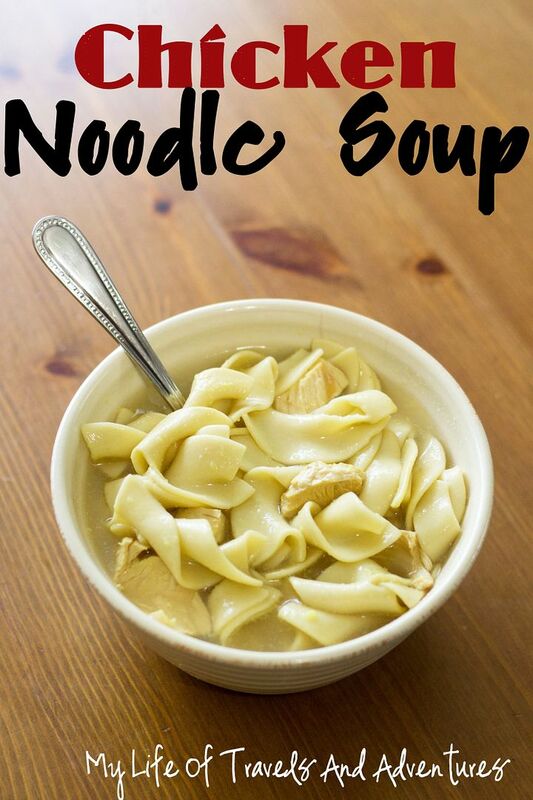 So here is my recipe for Basic Chicken Noodle Soup... Spice your up with some veggies! 1. Chop chicken (I like cubes) and cook. 2. Bring water to boil. Add the chicken bouillon and mix. 3. Add the chicken, egg noodles and assorted vegetables. 5. Reduce heat and let simmer for at least 30 minutes. See? Silly of me to write this recipe but oh well. Now it is stored somewhere other than my little ole noggin'. This looks so delicious! Im pinning this to make later! I love chicken noodle soup! I make it in the crock pot all the time, although I do add tons of veggies in it. I figure it's a great way to use up random veggies we need to get rid of. And I also lived on ramen when I was pregnant with my daughter because it was the only thing I could keep down.